These final years of Rajinikanth’s career are historic in their import, for never again will we see the likes of him. Rajesh Khanna is usually called the first superstar. Never before, we hear, was an actor known to cause such frenzies among fans. Rajinikanth, then, is the last superstar. Never again will an actor rise to such heights of popularity, inspire such depths of devotion. These are the days of stars, certainly, but the sustained aura around movie-going that gave rise to the cult of stars is not there anymore. Our time is too divided. There is too much to do apart from watching movies once, twice, several times, and brag to friends that we were there first day, first show, etching ourselves into the only kind of history available to mere mortals. And superstars of the magnitude of Rajinikanth need that aura. They can be fostered only in eras where movies conflate into myths. What we have, these days, is mere excitement surrounding a new release. When a film is released in hundreds of screens, and when, if you don’t get tickets in one theatre it’s always possible to dream of seats in another, a small stake is driven into the bloodlust of the fan. Today’s stars are commodities stocked in a chain of supermarkets. They can never be superstars. Rajinikanth himself may never know how and why he became a superstar. Others were better looking, better enunciators of dialogue, better performers, better dancers, better clotheshorses. His transition from villain (or at least, a grey-shaded character) to hero is possibly one of the great mysteries of the cinema. He seemed so right as the bad guy. He carried such a charge, he left the hero in the dust. Of Rajinikanth it could be said that he would have become a superstar even if he hadn’t made the transition to hero. There was such excitement when he walked across screen. It felt alive. We often say that an actor has charisma, and we often struggle to describe what it is, what singular aspect constitutes this charisma, but with Rajinikanth you could point to Moondru Mudichu or Avargal and say, “That is charisma.” Science has taught us that two negatives make a positive, and it appears, in Rajinikanth’s case, that all those negatives combined into an electrifying positive. You cannot plan this. It just happens. Others have tried, oh how they have tried. They tried bringing in mannerisms of their own, their equivalents of the casual hair-combing and the cigarette-popping. They tried appending superstar-like titles to their names. They tried speaking like him, doing films styled along the lines of his films – but nothing worked. They don’t have viral Internet jokes about them. They don’t have a pan-Indian audience. The reason Rajinikanth, in his late years, has suddenly found acceptance by northern audiences may not be why he’s worshipped down south. They treat him like an amusement to be viewed from an arm’s length – he’s so cool, and all that. But whatever the reason, they have accepted him and made hits of his recent films, which went to them dubbed, whereas other stars find it difficult to keep up their hit rate within their home states. And his blockbuster-generating peers in other industries, like Chiranjeevi and Amitabh Bachchan, have either moved to politics or moved on to older roles. They aren’t heroes anymore, and if you’re not a hero, you cannot be a superstar. Is there another actor, over 60, who continues to play the lead, effortlessly bridging the divide between real-life persona and on-screen character? Clint Eastwood comes to mind, but then, he plays the protagonist in his films, not the hero. However central he is to his films, to his stories, he doesn’t romance younger heroines, he doesn’t beat up a dozen bad guys, he doesn’t navigate mythically heroic trajectories. He plays characters, not archetypes, and if you cannot play archetypes, you cannot appeal to all ages and you cannot be a superstar. Rajinikanth, in real life, has grandchildren, but on screen, he doesn’t play, as Eastwood does, grumpy old men. Rajinikanth plays virile young men, and however much a certain section of the audience, perhaps those who prefer realism and Clint Eastwood, may laugh, he has on his side millions who do not find it amusing that he’s shaved decades off his age and is putting the moves on a heroine young enough to be his daughter. That is how you know a superstar. No one henceforth will be able to do that – not here, not in Bollywood, not in Hollywood. To beget a superstar, you need a culture that allows this begetting. You need people deprived of other entertainment, who go to the movies as if coming up for air in the middle of the ocean. You need people who are riveted to what’s on screen and who’s on screen, instead of composing tweets about how the film so far is sucky beyond imagination. You need an audience that believes in the movies as much as devotees believe in their gods. We have become too cynical, and in the face of other entertainments (and also because the movies have become so accessible, sometimes turning up even on our computers), cinema isn’t just that awe-inspiring anymore. Some may point to Salman Khan and his amazing run of late, in this era of Twitter and Facebook no less – but wait till he’s 60 and let’s see if he’s still sought after, if his audience still buys him opposite Ranbir Kapoor’s daughter. This last of our superstars isn’t going to be on our screens much longer. The kind of movies that make this superstar, that have made this superstar, aren’t going to be possible with a bad back and with failing eyesight and with lungs that won’t keep up with having to batter a bunch of bad guys into a pulp. And he’s too big, too much of a deity, to play merely human roles, the Clint Eastwood roles – that would be like seeing Sachin Tendulkar, during a commercial break, run out to perspiring players with drinks. And even in these last days of Sachin Tendulkar, we want to see him in those commercials for drinks, as the hero, as the star who convinces his fans that this is the drink to be drunk over all other drinks. Rajinikanth, incidentally, has never done that. He has never asked us to buy this brand of toothpaste or that brand of pen. The only thing he’s ever wanted us to buy is his image on screen, and we’ve done that for over three decades now. Thirty years at the top. It’s unthinkable. It will never happen again. Copyright ©2012 The Hindu. This article may not be reproduced in its entirety without permission. A link to this URL, instead, would be appreciated. Wrote this for a publication titled “Rajinikanth 12.12.12: A Birthday Special”, from The Hindu. The special issue came out on his birthday. An essay about ‘the last Superstar’, and I see no mention of Salman Khan. Not to mention that it is *his* birthday today. And yet, somewhere down the line, I have a strong feeling that Salman Khan too may actually go on to bash up goons and romance a 20-year-old for atleast another decade. Dont you think that multitasking is the culprit? it leads to poor attention span. Secondly, the work-life balance is far more worse than it was in the 70’s or the 80’s. Again, I feel the blame is on attention span and focus. Yes, we are spoiled for choice with so much cinema being accessible from around the globe. Or maybe its the mentality of ‘gobble-up-as-much-as-you-can’, rather than savor a movie with a singular focus, let it digest, reflect on it, dissect it – before moving on to watching the next one. This kind of interval existed in the past, even it was just for one week until the next release, right? I have not watched any of his movies, & I wont watch the dubbed ones or the ones with subtitles, so I cant comment more. I’ll wait till I learn Tamil well – I hear that spoken Tamil is quite different from the literary Tamil. That wont deter me ! There cant be a better tribute to Superstar 🙂 Will save this one. Thanks BR. @BH Harsh, that unethical, womanizing murderer will not even gain a 10th of the fame or admiration that Rajnikanth has gained. If he weren’t born in a corrupt country like India, Salman would be spending his life behind bars and be ridiculed for the atrocities he has committed. So please, take your fanboyism elsewhere. Bingo! You have summed up the phenomenon so well, not missing any facet, not crowding the piece with too much facts, just getting the key aspects right! If you are talking if charisma Rajesh Khanna had it and Rajnikanth has it. It’s so insightful and bold of you to have thrown everyone else out of the window from this Superstar Express. A fitting tribute to the Superstar! There can never be another one like him. Mentioning Rajini and Salman in the same line… Enna koduma Brangan Saar idhu? I’d say Mohanlal & Mammootty in Malayalam are pretty similar. They both have dominated the industry for over 30 years. They are not as old as Rajnikanth, but in terms of longevity they are in that category. That being said, Rajnikanth is a great movie star. Both mammotty & mohanlal are superstars for the past 30 yrs..mammooty is 61 now..
Salman khan has this sort of run only for the past 2 years before that for five years his movies were constant duds, while rajni seems to have had one dud in 10 years, baba and before that decade nattuku oru nallavan! If salman can continue this for another 20 years(i dont think so), then we can talk. From Kamadhenu theater to Albert Theatre to Karikudi’ Pandian&New Cinema to KL’Coliseum to Singapore’ Srinivasa Hall to Centre Stage Mall Noida to Arora at Matunga to Pacific Place HK,Tokyo’ Shinagawa to Mannheim’ Cineplex – Having watched crazy number of Thalivar movies across various Geographies one thing that I can say with overbearing confidence is that his viewers do not confuse him with the thick mooshed scary looking deities of Ayyanar or Madurai Veeran or Oor Kaval Sami. But to the fan lighting camphor in the theater(MAN The facial reaction of the movie operator of Endhiran in 2010 -A German who did not know till that day of his 21 year work experience as a movie operator what “once more” meant),Abhishekaming his image in milk or beer, village heroes, warrior gods and superstars exist in the same continuum of mythology and folk tradition this land an emerging soft power can be proud to hold. The unlikely but plausible mix of the human and divine is ubiquitous in our mythologies passed over generations not on a parchment or a book or a ms word document but over word of mouth- KARNA PARAMBARAI -of gods who disguise themselves as men, and mere mortals who attain sacred powers. It’s the reason why we don’t need Hollywoody superheroes like Superman or Batman or Spider Man. Our most beloved celluloid heroes are ordinary men with extraordinary qualities; they possess the rare ability to be at once familiar and exceptional, and always authentic. Thalivar ever since he recognised to play the “HERO” of the movie game has always played roles of ORDINARY people (Excepting the 2 recent Scientist or Sr.Systems Architect it was always an auto driver,a milk man,a riff raff,roadside musician,a rowdy an uzhaipali a hotel steward etc etc to name a few) who discover there is something EXTRAORDINARY about them. There is an absolutely rooted commitment to the mundane ordinary life in all his movies it is the classic case of miracle of Rajinikanth is that he’s the guy next door who could one day be the god next door. The Indian superhero is by definition populist: our gods take human form to battle evil and rescue the oppressed, or at least exhibit their worth. To be a celluloid deity, an actor’s on-screen and off-screen performances must converge seamlessly into a singular image of heroic divinity. Thalivar, in comparison, has remained Thalivar. Every little known fact of his real world life, just like that stupid constantly rolling stuff on your right side Facebook window -feeds perfectly into his public image—his sleeping on the sheet on the sets during lunch break on a sheet of poster,his single room requirement at a local LODGE,his no attendants for me dikat,his lowly roots- a karnataka transport minion,his miraculous rise to extraordinary success, conquest of upper-caste echelons of Chennai’ Poes Garden, reputation for philanthropy, preoccupation with spirituality, and above all, his extraordinary and legendary humility. Engineered or not, in each of his public appearances, which included today’ brief thank you message routine for his birthday 12/12/12 Thalivar exudes a matter-of-fact intimacy. With his grey lined balding head,Fab India’ 399 Rs. kurta, and non chalant lack of affectation, he may well be the neighbourhood government retired but secretary of the flat association Sundaram mama you run into at the corner potti kadai during your secret dum. The Fact is that Thalivar is extremely more real,highly authentic which is impossible in reality for even an extra, an union carded Junior artist from Kodambakkam. One thing thalivar does when he speaks even into a mic right here at Chennai that had a large yellow DW-TV band bunched with half a dozen of the rest of Indian media mic is a sense of friendship, a real honest connect with an Individual. That Extraordinary ‘mere ordinariness’ itself is a miracle. He doesn’t need a hallow of an divine aura behind him. He just proved to us all yet again that Indeed simplicity, is divinity. Power star irukumpothu ip padi solla lama? In a way it is tribute to superstar who still manage to retain is charisma over three decades. His career took off strongly with Bila which propel to be star and reaching super-stardom in murutu kalai. In earlier period of his career he tried out different genres like womaniser in Netri kan, comedy in thillu mullu, as cop in Mundru mugam, doting dad in Nallavanu Nallavan, robin hood in naan sigappu manithan to a name few. But for me sadly post Annamalai i started disliking his films because over the larger than life portrayal in silver screen. I could see magic his again as chitti in enthiran, last montage scene when he dismantle as chitti, that shows he can do act by elan. Thanks for a befitting tribute to the SuperStar… Loved reading it. “Others have tried,oh how they have tried” ROTFL! You are right in sayin that there never can be another one like him! I wrote this when he was ill … Hoping 2013 is the magical year with kochadaiyaan! Watch the expressions, timing, self-deprecation, dress sense and now tell me that he is not a good actor and show me one guy who can duplicate that. vishal yogin: Reg “watching a movie on the computer is not the same as the big screen…” Absolutely. I keep telling this to people who tell me that they saw some movie on a downloaded print and it just didn’t work for them. The movie on a big screen IS NOT the movie on a comp/DVD. That’s a slightly different creature, which is why foreign publications have different ratings/reviews when a film appears on the screen and then, later, when it appears on DVD. And it’s not just the “Life of Pi” kind of spectacles. Even life-sized films are bettered on screen due to the quality of projection and sound and the bigness of the image (which sometimes adds to the bigness of the emotion in that moment), and you lose a lot of that when you’re watching a film with earphones. Filmbuff/Sihab: I don’t know if Mohanlal & Mammootty in the same category at all (and they are also “actors” in a way Rajini isn’t or hasn’t been in a long while). Yes, if you just consider the fact that an actor is a huge star — a superstar even — is one thing, but the way Rajini spaces out his releases, the way his appeal transcends his “regional’ roots, the way he’s written about… it’s very different. Venkataraghavan Srinivasan: Can you send me an email at the ID mentioned in the Contact page? Thanks. Niranjan: Do you remember which brand of whiskey that was? A while ago, the editor of a national magazine asked me if Rajini had featured in any commercials, and I said no. I second that. His skills at pavement driving and wildlife poaching aside, the fascination audiences have for this hamming hack extraordinaire called Salman continues to befuddle me, The man’s a charisma vacuum. In this category one can also slot the following: Vijay, Ajith, Allu Arjun, Akshay Kumar, Adam Sandler and Shia LeBeouf. Eventhough Rajnikant’s movies have fared well in dubbed versions in Hindi,I still believe that the “Amusement” part still dominates their thinking about him. I think this also has to do with the fact that its very easy to generalize something and say yes i know why this is like this rather than exploring why something is like this. To generalize that south Indians are movie buffs who enjoy all kind of over the top histrionics from their heroes and Rajnikant is a byeproduct of this culture is a very easy way out for people from other parts of India to understand him. Bcoz as you have said many times in this impatient times who has the patience to understand a phenomenon like Rajnikant who doesnt fit in to any stereotype that we can associate with a so called supertars in Bollywood. I think it also has to do with our nature of generalising things rather than investing time to understand something. Bcoz its so easy for someone from outside south India to generalize that south Indians are mad movie buffs who enjoy “Over the top histrionics” that are dished out by their mid aged,belly weilding heroes , as you have said many time in this generation of impatient viewers who has the time to read and understand about Rajnikant when such a stereotype is easily available. Chiranjeevi is one who comes very close to Rajnikant in his fan following but doesnt have pan India image that Rajnikant has..
You have mentioned Salman but not AB? Isnt He the Biggest of them all? I LOVED your post. I usually come back to re-read BR’s article, but I’ve come back so many times to re-read your post!! Very well written! This post feels very Shakespearean. Reminds me a lot of the “Friends, Roman, countrymen” speech from Julius Caesar . MGR is said to have had some level of charisma and he apparently continued to play the lead role after 60. but, as you mentioned, getting a national appeal wasn’t possible for him too and he also moved to politics beyond a point and we all know that. saisundar: That is a good point – MGR would have been bigger had the internet been invented when he was alive. A big part of Rajini’s popularity is the smallness of the world. BR – good article as usual. 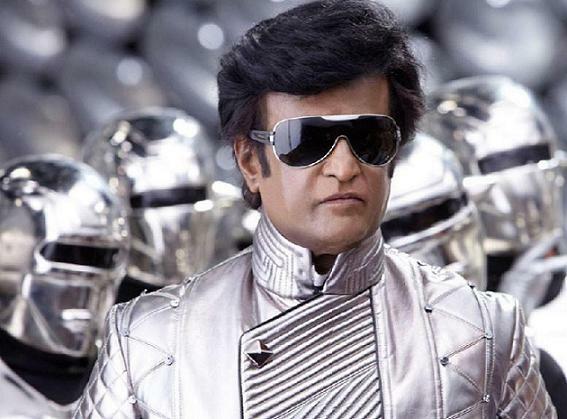 In addition to the points made, what are your thoughts on the writer/directors contribution in creating the aura around Rajnikant. Do you think there was a tipping point which started his journey to superstardom? Do you think there was a deliberate attempt by anyone particular to build this during his early career(similar to the angry young man persona built around AB). Obviously this doesn’t take away anything from Rajnikant’s ability to live upto the superstardom and enhance it to great limits. Curious to know your thoughts. Btw, reading your book. Amazing read so far. Raj: I don’t know if any director set out to create an aura. Many of them exploited (or made use of) that aura. Also, speaking of AB, whose idea was it to remake so many of his films in Tamil with Rajini in AB’s role? Was it just a commercial thing, as in “this film was a blockbuster, so let’s remake it”? Or was there something more specific, say Rajini wanting to do those particular roles? Either way, I don’t see any single director’s hand in the superstardom. When I watch the new hero-oriented films, they have special effects and wirework and crazy camerawork, and frankly, these heroes NEED all that! Rajini didn’t need all that stuff to be magnetic on-screen. Just a twirl of a cigarette or a sharp look. Suraaj’s last few films, for example, have titles from Rajini films, including the upcoming Karthi-starrer, Alex Pandian, which is a character Rajini played in Moondru Mugam. There’s a line in the “Bad Boy” song that goes something like “Billa, Ranga, Baasha dost thaan,” which is such an obvious “hey, consider me in the league of Rajini” line. The song also has a line that goes “enakkuleyum MGR.” I wish filmmakers would create their heroes without overtly or subtly invoking Rajini and MGR. If the hero has to tell the audience he is like Rajini or MGR, he isn’t! Brilliant!!! 🙂 loved the article and the reminiscences it brought (in my head i.e), Thanks dude. Absolutely, I remember the Abhi Na Jao Chodh Kar scene from Mausam. The gigantic closeup of Sonam’s face with various emotions stirred way bigger emotions in me, that I will never forget. Have you seen a dvd sized movie (not the dvd rip but the 8 GB original) projected on a 150″ or 200″ screen? I suppose this is the closest approximation of the big screen experience outside the cinema hall. I wonder how does it measure up, because I havent had such a viweing experience. Nothing will ever beat 35mm, not even 4K or 8K or whatever comes later on. Too bad, consumers cant dream of collecting cinema this way. There are two conflicting trains of thought – on one hand, there is the desire to watch some of the movies again, & on the other hand, there are always more and more movies that keep coming out. So the desire to have a collection and hope to watch again remains wishful thinking? Speaking of which, do you have (or intend to) have a collection? What would go in such a collection? Would you watch that after several decades? Or is this collection concept is redundant because in the far future every single movie that was ever made would be easily available as rental. I wonder if the key to Rajnikanth’s success, like Tendulkar, is longevity. As you said, some of his contemporaries moved to politics or character roles so even if they had any chance of sustaining it for so long, they just got tired of playing God every single time. Another thing is his spotless public image (please correct me if there are any scandals that I missed as I don’t live in Chennai!). It is a bit hard to completely idolize Salman Khan for reasons I won’t elaborate here. Is Rajini really as clean as he looks? Maybe, maybe not, but perceptions count. Strangely enough, I enjoyed the darker, more mysterious Rajini of the early days…even up to the mid 80s when he could still play more interesting characters like the double role in Johnny. Whatever started since roughly around Annamalai is pretty tiresome for me but the fans like it and I respect the man for giving them so much, even if he takes a lot in terms of box office success. I hope he doesn’t take thsi view. This just panders to his (admittedly numerous) fans and North Indies folks who look on him as a joker. He’d make a darned good character actor, (note, not supporting actor),; he’d make a very godoe veryman than even the sainted bachchan. You could perhaps say that the commerce of it is dubious – his mornoic fans arent going to let him do that. The biggest andhar palti on this was done by Raja Sen who couldnt get enough of bashing or poking fun at Rajni and his kind of films but then wrote a piece which read like an eulogy. I guess at a time when the Hindi film industry is making 100-cr clubs from remakes of Ghajini, saami, pokkiri, Singam etc. it would be little odd if they still poked fun at Rajni and his films. So all these twwets from their actors, critics, media PR and so on on how cool and awesome Rajni sir is. Hypocrites. vijay: Well, I am fond of the guy, though not much of his post-90s movies, except maybe “Padayappa”. One indelible memory I have of Rajini is from when I was walking past a house in Mandaveli, and this boy raced into the house yelling “Amma, Kapali-la Padikkaadhavan.” There was such fervour about the movies, about their lack of easy availability at a theatre near you, about seeing them on the big screen. Rajini is a big fluke. He had good directors like KB, SPM etc., who guided him. Even now, he cannot speak tamil properly. Ellam poorva jenma punyam. Nothing else. I love your writing, man! You too BR! You had to flaunt your pretentious admiration for him don’t you…I get it, the media is all hyped up for Kabali so am not surprised with you joining the fray echoing “let me fall in line else I get relegated to recycle bin”. First of all, I agree to the central them of the article that there can never be another ‘larger than life’ (well, it should be ‘lives’ actually because this guy’s humongous super-stardom transcends logic and reasoning) superstar of this level. Because it is still relevant in 2016 and makes every sense. I also agree the ‘plight in vain’ of the other Tamil stars with their own fabricated titles they have given to themselves. To be fair, for the most part of Rajinikanth’s career, others praised him more than he praised himself. Even when he did, his one liners (read ‘punch dialogues’) boasted the might of only his on-screen avatar and not Rajinikanth the person. The problem with today’s ‘wannabe Rajinikanths’ is that each of these half bakes started to praise themselves (please do NOT read ‘praise their on-screen avatars’) right from, say their 3rd movie. Then they give themselves a title from their 4th movie just so they (read ‘they’ = their own world = ignorant fans, ill-informed public and all forms of media) could continue the boast off-screen. Truly, that is how stardom and a dedicated fan-base are being manufactured today. Like you have rightly pointed out, Rajinikanth just happened. I too do not see another one happening in the foreseeable future. Because analyzing and breaking down of the success of this scale – a jackpot that is Rajinikanth’s stardom – is what others are trying to do. They are trying to emulate a natural phenomenon that took decades to reach where it is now. I mean, how hard can that be? Only, very. And then Salman(50) is 16 years younger to Rajini(66). I wonder where Salman’s stardom would stand when he turns 66 in 2032. Truth be told, I had to google in the first place even to locate this piece of yours. I wanted to read it because it has been quoted in this article from yesterday by Ananya Bhattacharya, a piece for India Today! Sam Venkatesan: What do you mean BR wanted to join the band wagon for Kabali? This is an OLD article from 2012. Did you even stop to read the date at the top of the article before actually claiming as lame as an allegation as that?